Tools are the lifeblood of tradespeople. They help tradespeople and contractors complete work on time and deliver quality workmanship. Good tools are expensive. If they’re stolen, it can impact your ability to get the job done, and it can cost you thousands of dollars to replace them. In 2013/2014 in Victoria, theft rose 8.4% over the previous year, with 4,538 power tools stolen. In the 12 months to March 2015 in NSW, there were 24,862 thefts of items from motor vehicles. 39% of residential builders had experienced theft from building sites, and of those, more than two-thirds had experienced it more than once. What would you do if your toolbox, van, ute or trailer was broken into and you had your tools stolen? Can police identify your tools? DataDots are microscopic discs that contain unique information that’s linked to your property and you. As small as a grain of sand, DataDots are recognised as being one of the most effective ways of deterring theft, and play a crucial role in the recovery and return of tools and equipment. Hundreds or even thousands of DataDots are sprayed onto various locations on your tools and equipment. Record specific details of the tool including brand, description, model, serial number and a photo. 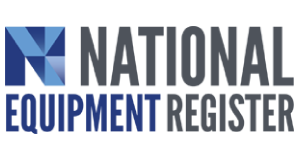 The unique code on each DataDot, along with all of the other details, are then stored on the secure National Equipment Register, which can be accessed by police if your tools are stolen. The DataDots are almost invisible to the naked eye, but can be detected using a UV light and a special magnifying device. It’s virtually impossible to locate and remove all of the DataDots, making it extremely difficult for thieves to sell your tools and equipment without fear of being caught. Warning stickers act as a visible deterrent to thieves. When police recover stolen items they use a UV light and a special magnifying device to read the DataDots and identify you as the owner. Are your tools a target for thieves? ToolMate provides an efficient and cost effective way to protect your tools and deter thieves using the latest microdot identification technology. ToolMate aims to help Crime Stoppers and the Police to aid in the recovery of your items and help prevent thefts in the first place. All tools marked with DataDotDNA® are registered on the secure NER website. These features can confirm identity, verify ownership, assist in validating insurance claims and provide law enforcement agencies with evidence to prove theft. Marked and registered items are more difficult for thieves to sell as the NER provides irrefutable proof of ownership.